So you're thinking about a holiday to Bellamy? If you want a place to call home that's located close to Bellamy attractions, use Orbitz to pick your travel dates, and then presto! Look through the list of hotels and other accommodations to find those that are located near everything you want to see. You might not find the perfect place to stay in the heart of Bellamy, but you can choose from 7 accommodations nearby. Search by filters such as price, neighborhood, guest rating, or popular locations, depending on what's most important to you. 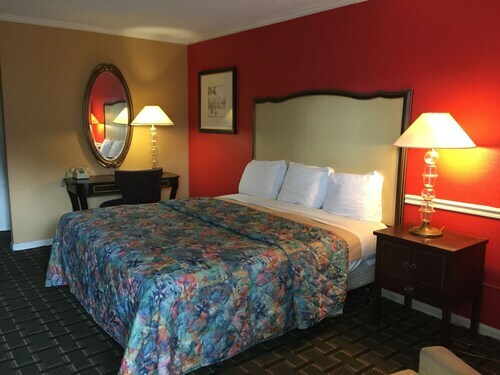 There may be a limited number of hotels and accommodations to choose from in Bellamy, but here some other options located nearby to give you some choices. What's the Weather Like in Bellamy? My family and I enjoyed our stay at the Comfort Inn. The breakfast was great and the food was fresh. The staff was especially excellent, from the front desk to the janitorial staff. The ladies that cleaned the rooms (Bernice and others) were nice and made sure that we had everything we needed. I can't say enough about the staff and theirs kindness at Comfort Inn!